Truck drivers at the port of Dover before boarding a ferry to Calais, France, in March. Trucks parked along freeways or stuck in gridlocked ports. Food disappearing from supermarket shelves and stocks of medicines under strain. The military on standby, ready to step in to avert crisis. For a British public that has often tuned out from the mind-numbing complexities of Britain’s withdrawal from the European Union, recent government statements, amplified by raucous newspaper headlines, have finally become comprehensible — and alarming. 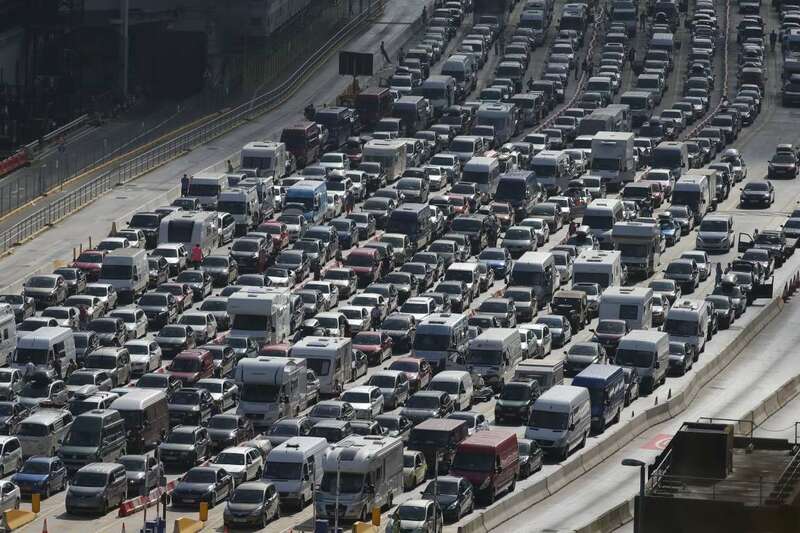 For days, talk has swirled about government preparations for a disruptive departure from the European Union without any agreement — a scenario that could mean new border checks, log-jammed ports, marooned trucks, and food, drugs and other essential supplies drying up. [post_ads]The speculation was prompted by a government promise to prepare for all eventualities, including the extreme one of a “no deal” departure from the European Union, or Brexit. But even before the first of around 70 official “no deal” warning documents for businesses and consumers was published, they had — through the filter of the British news media — started to sound ominously reminiscent of rationing and other preparations during World War II. On Monday, the government insisted that it had “no plans” to involve the army and was backpedaling over the timing of the 70 warning notices. They were originally scheduled to appear regularly throughout the summer, something that would have generated maximum publicity. Now, the documents are expected in August and early September, probably in two batches. Already, however, efforts to prepare for the possibility of a “no-deal” Brexit have backfired by drawing attention to the extreme consequences Britain might face, and to the fact that it might not be able to do much to mitigate them. And they have angered the very people they were designed to please: hard-line supporters of Brexit who had been pressing the government to make “no deal” preparations so the country could threaten to walk away from negotiations with the European Union. Vehicles lined up to enter the port of Dover on the southcoastern of England in 2016. “It has not been a tremendous success, and I don’t know what the hell the thinking is,” said Anand Menon, a professor of European politics and foreign affairs at King’s College London. Now, with opinion surveys suggesting that worries about chaos are rippling through to the public, Brexit supporters have renewed their denunciations of “project fear” — a term they used successfully in the 2016 Brexit referendum campaign. They have only themselves to blame. For months they urged the government to prepare for a no-deal scenario to strengthen its negotiating position with the European Union, and Prime Minister Theresa May ultimately relented. Things started to look shaky when the new Brexit secretary, Dominic Raab, a leading proponent of withdrawal, held a meeting with business leaders. He was reportedly told by Doug Gurr, a senior executive at Amazon, that there could be “civil unrest” within two weeks if Britain quit the bloc with no deal. If he expected retailers and suppliers to begin quietly stocking up on essential goods, he seems not to have spoken first to key figures. “Stockpiling of food is not a practical response to a no-deal on Brexit and industry has not been approached by Government to begin planning for this,” the British Retail Consortium, which represents many retail firms, said in a curt statement. “Retailers do not have the facilities to house stockpiled goods and in the case of fresh produce, it is simply not possible to do so,” it added. Others complained that the government looked incompetent and naïve. “The idea of stockpiling and storage is a red herring,” said Shane Brennan, the chief executive of the Food Storage and Distribution Federation, a trade lobby group. Britain is vulnerable because it sources 30 percent of its food from the European Union plus a further 11 percent through trade deals negotiated by the bloc, according to Feeding Britain: Food Security After Brexit, a report by the Center for Food Policy. Contracts for food supplies are typically set 12 months ahead, with food arriving via a complex logistics system that runs on a just-in-time basis and often provides three to five days’ supply, it said. The port of Dover, through which thousands of trucks pass every day, has warned that just a two-minute delay in processing time could lead to traffic lines of 17 miles. In theory, both the European Union and Britain have an interest in keeping trade flowing. The British government has negotiated a standstill transition period, during which trading ties would remain the same, from the departure date in March next year until December 2020. The catch is that this is conditional on a withdrawal agreement that still has to be finalized. 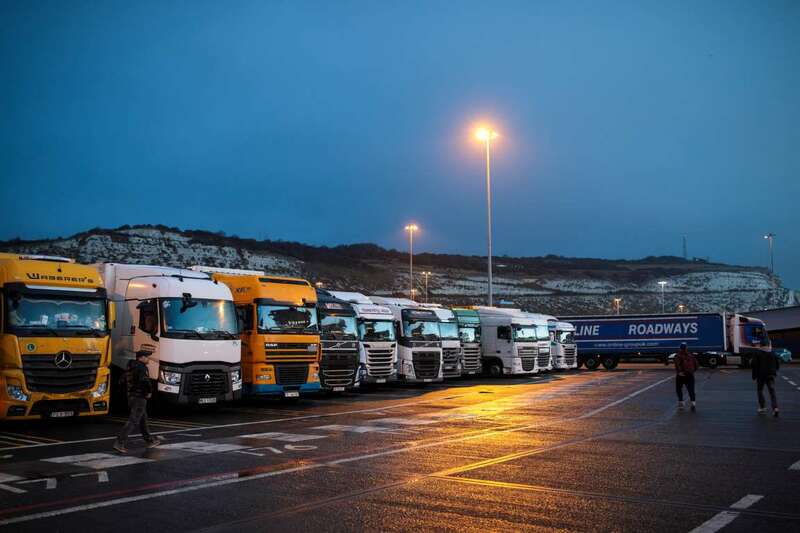 Robert Hardy, the commercial director of Oakland International, a logistics and distribution specialist, dismissed some of the more dire scenarios and argued that the British authorities would waive the need for trucks to be stopped at key ports like Dover. Customs formalities could be performed later in the process, something permitted under existing rules, Mr. Hardy said. “For imports I don’t see any major changes,” he said. [post_ads]That said, he acknowledged that there could be big problems for exporters if — as is likely — officials in France were to impose new checks. Others point out that trucks delivering supplies to Britain would have difficulties getting home, thereby disrupting the supply chain and affecting imports. Ian Wright, the director general of the Food and Drink Federation, which represents food and nonalcoholic drinks manufacturers, said the group was investigating strategies to limit the impact of a no-deal Brexit. But the scope for stockpiling is limited by the cost, the availability of storage space and by the fact that fresh food spoils quickly. For the government, there is one small silver lining to yet another bad Brexit news story. If Mrs. May can negotiate a deal with the European Union in the fall, and avoid a disruptive exit from the bloc, her agreement will sound better than the chaos of the “no deal” alternative, Mr. Menon said. “Perhaps it helps Theresa May to point back to all the speculation about ‘no deal’ and say, ‘At least I have avoided all that,’” he said.